In December 2015, London hosted the G6 summit. 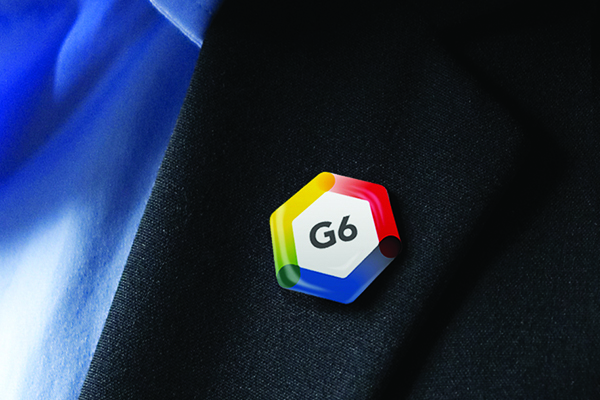 The G6, or Group of Six, is an unofficial group of the interior ministers of the six most populous European Union member states - Germany, France, United Kingdom, Italy, Spain and Poland. Held at Lancaster House, December’s summit focussed on a range of themes including migration, data protection, modern slavery, illicit firearms and the threat posed by Daesh. This summit was also attended by the Attorney General, and Secretary for Homeland Security, of the United States. The government department organising the summit, the Home Office, contacted DESIGN102 for help creating a visual theme and identity. The DESIGN102 team created name badges, document folders, note books and pull up banners for the conference. Kat also took inspiration from the colours found within the attendees’ national flags, combining these shades with the six sides of the hexagon to create a logo-mark that worked across a variety of applications. The team went on to produce name badges, document folders, note books and pull up banners for the event. 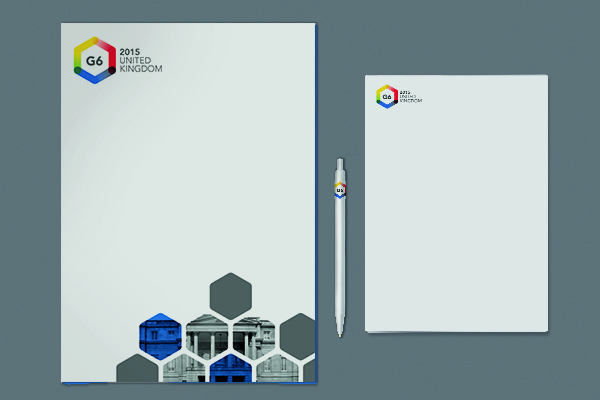 If you work for the Civil Service and need a logo-mark or event materials designing, get in touch. Don’t forget, you can see more work from DESIGN102 at www.design102.co.uk. a creative design studio for government departments, agencies and public bodies who believe design can make a difference.